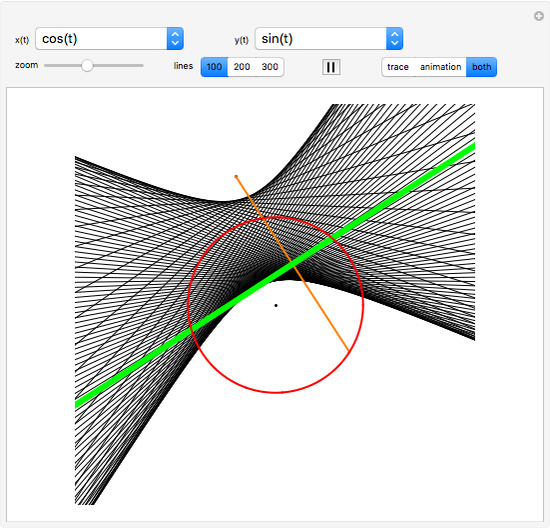 Tracing the perpendicular bisector of the segment joining an arbitrary point and another point on a circle yields conics, which have foci at the center of the circle and at the arbitrary point. 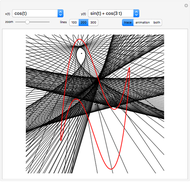 With other functions, however, the trace generates strange patterns and curves. Choose from several possible functions and watch the animation, or just view the trace. 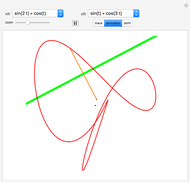 The locator determines one of the endpoints of the line segment, and the other moves with the function. If you want to experiment with different functions, you can download the code and replace the controls for and with input fields, allowing input of any pure function. Nathan Wong "Perpendicular Bisector Trace of a Parametric Function"